Below is a presentation from the Foundation's 2016 educational webinar series, "Coping with RLS and What Sleep Deprivation Does to You." This webinar is presented by Dr. Jeffery Durmer, CMO of FusionHealth and member of the RLS Foundation Scientific and Medical Advisory Board. Visit www.rls.org for more information about our webinar series and other Foundation programs! Additionally, this Buzzfeed article has some great infographics about tips for getting a good night's sleep! For RLS sufferers, it is oftentimes nearly impossible to fall and stay asleep. Many have reported to the Foundation that they get as little as 2-4 hours of sleep per night. When the recommended amount of sleep is 7-9 hours each night, such little sleep can have debilitating effects on waking life. Exercise in the early hours of the morning or afternoon can have a positive effect on the natural circadian rhythm, or "sleep-wake cycle." Exercise raises the body's temperature for roughly four to five hours before gradually falling, thus helping one feel sleepy in the evening around bedtime. However, it is important to note that especially for RLS sufferers, rigorous exercise before bed should be avoided, since it can stimulate the brain and prevent one from falling asleep. Meditation, yoga or light stretching are great options for easing RLS symptoms before bed, as they can help settle both the mind and body. Additionally, the Foundation's Sleep Diary is a great resources to help find sleep cycle patterns and potential RLS triggers. Other suggestions for getting a good night's sleep include avoiding technology before bed, sticking to a consistent schedule and cultivating a relaxing evening ritual for yourself. Remember to refrain from any activity that your doctor has specifically told you to avoid. 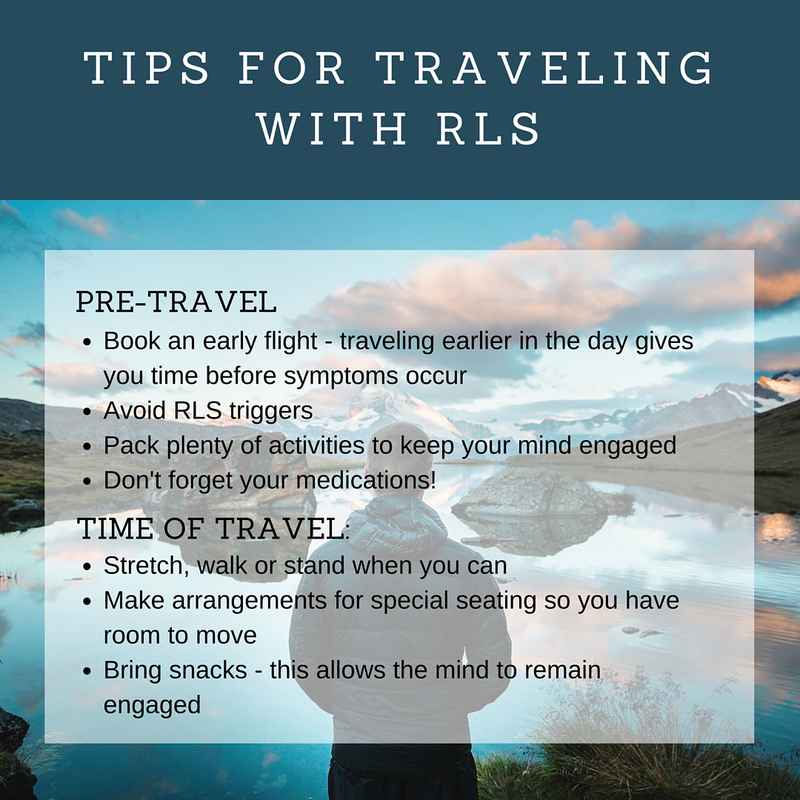 Read more about healthy lifestyle habits for RLS sufferers on our website. Check out the original article about sleep and exercise and its great infographics at CapeCod.com. Like restless legs syndrome, migraines can be horribly debilitating. According to the Mayo Clinic , "a migraine can cause severe throbbing pain or a pulsing sensation, usually on just one side of the head. It's often accompanied by nausea, vomiting, and extreme sensitivity to light and sound." In fact, two-thirds of individuals that participated in the Migraine in America 2016 survey , reported that their symptoms lasted five days or more. That's more than five days of excruciating pain, sometimes enough to be disabling. To make matters worse, one in six reported that they also experience restless legs syndrome during a migraine attack. These are two serious conditions that interfere with sleep, potentially resulting in a decreased quality of life. In fact, 66 percent of survey respondents said that lack of sleep could bring on a migraine. The irony is that migraines make it nearly impossible to fall into a restful sleep, yet sleep is one of the best tactics at soothing a migraine. Read more about migraines and their adverse affects on various aspects of life in Reader's Digest. 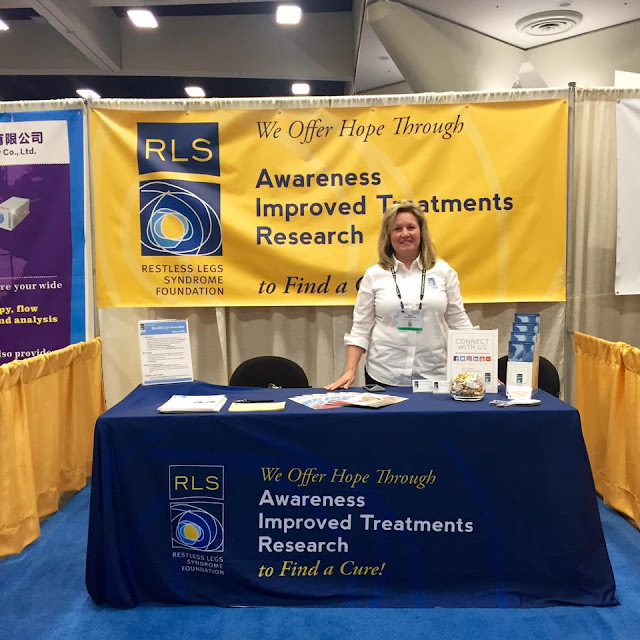 RLS Awareness Day 2016 Winners Announced! For RLS Awareness Day 2016, we at the Foundation were floored by the tremendous force of advocacy shown by our RLS family, especially through social media. 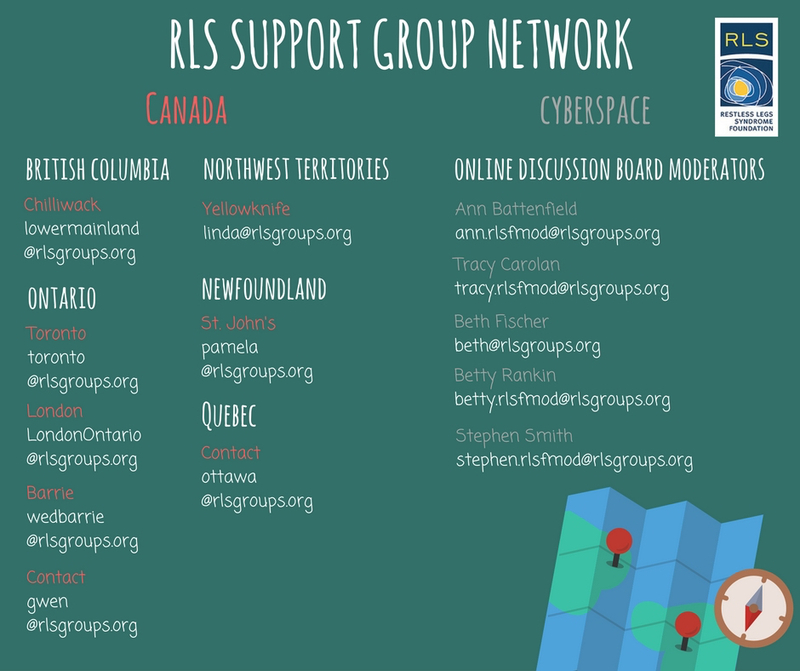 For one of our Ten Ways to Spread RLS Awareness , we encouraged everyone to take to social media, change their profile pictures to our Awareness Day image and to tag the Foundation. The following individuals went above and beyond the call of duty - cheers to our winners! Erin took to Twitter to retweet nearly all of our Awareness Day messages and get the word out. Go Erin! "RLS Awareness matters and means so much to me for educating others! I've had it since I was at least 9 years old, and thought it was just something weird with me until I'd heard my mom talk of her dad's restless legs syndrome when I was a teen... I was amazed to hear her describe partially what I'd thought I was alone in. There [are] too many things that too many dismiss to be 'all in one's head' and RLS should NOT be one of those!" 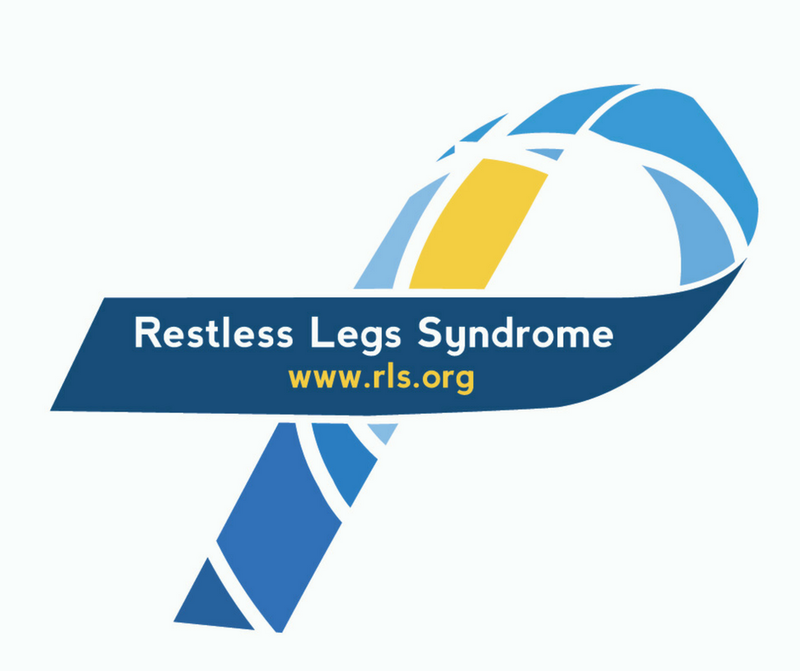 "For the next 6 weeks my Profile Photo will be set to bring awareness to Restless Legs Syndrome (RLS). Many of you may not know that I (and my mom) suffer greatly from this terrible disease. While most would consider this not a life threatening disease...I can tell you first hand that IT IS life altering. 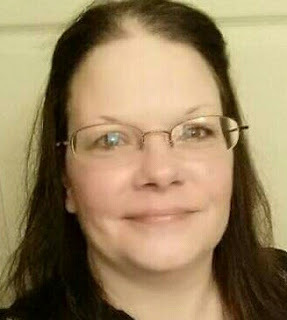 "There are countless nights of not sleeping because my legs will not stop moving (even with medications), or have a creepy crawling feeling, they jerk to the point of knocking my husband out of bed or forcing me to get up and walk around the house in the middle of the night. During the day my legs are always moving, always wiggling, or always jumping...to the point of embarrassment at times. The medications available for RLS unfortunately come with side effects that are not pleasant...and I know them all too well. #2 By please take the time to read about it and understand it. #3 If someone you know has RLS...please pray for them, encourage them and support them. Gary used Facebook to reveal to his network that he had been struggling with RLS since 2011, something that he had been desperately trying to hide. This year for RLS Awareness Day, Gary found the bravery to overcome his insecurities and open up. "RLS Awareness Day matters to me because it's important to put a face and life story to this condition, that is often dismissed as 'not real'. 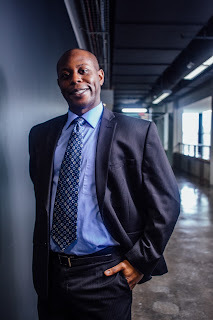 I was diagnosed while being a full-time graduate student, studying to become a higher education academic advisor; this lifestyle requires a lot of reading, sitting, and being still from the waist down! My husband is great with assisting me with RLS pains via deep tissue massage and adapting his life around me. I want to raise awareness by 'coming out' about this aspect of my life in hopes to inspire others to take steps with getting evaluated for this medical condition; to encourage the general public about this condition; and to encourage medical professionals to take RLS more seriously in their practice." According to the Centers for Disease Control and Prevention (CDC), more than one third of adults in the United States fail to get a sufficient amount of sleep on a regular basis. In fact, many of these people are actually suffering from sleep disorders. A sleep disorder is defined by any change in the way you normally sleep. Some of the more common examples include insomnia, sleep apnea, narcolepsy and restless legs syndrome (RLS) . Symptoms of a sleep disorder involve irritability upon awakening and problems concentrating, and can lead to an overall decreased quality of life. Specifically, restless legs syndrome can prevent falling and staying asleep, resulting in unrefreshed sleep cycles and serious daytime fatigue. Read the full article from Oklahoma Magazine here . We want to give a HUGE shout-out to YOU, our incredible members, for your ongoing support of the Restless Legs Syndrome Foundation! Thanks to your loyalty and generosity, we are nearly 4,500 members strong and growing every day! If you're not sure you've renewed yet for our 2017 fiscal year (starting October 1st), check your membership "expiration date" that is now printed on the back cover of NightWalkers, right above your name and address. If it says "9/30/2016" on your Summer 2016 issue and you haven't yet paid your renewal dues by mail or through our website in the past 30 days, your membership may lapse as of October 1st ... disrupting your NightWalkers subscription as well. To make sure you won't lose your exclusive RLSF member benefits -- including 24/7 online access to publications, NightWalkers archive, educational webinars & more -- and to continue receiving NightWalkers, our acclaimed quarterly magazine ... please RENEW YOUR MEMBERSHIP TODAY! Thank you. 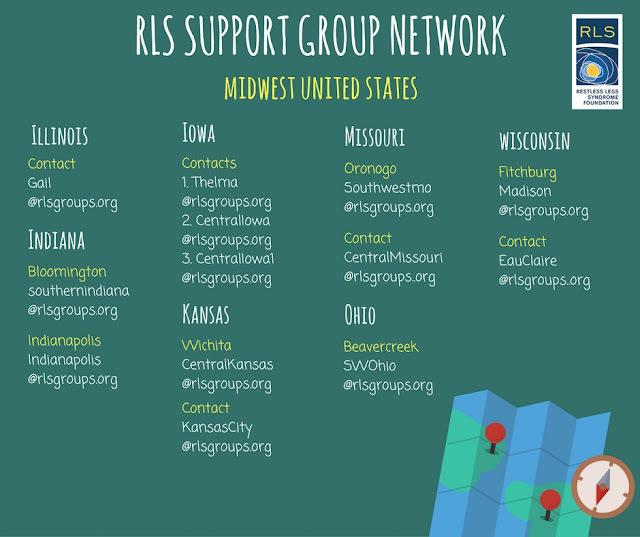 If you have any questions about your RLSF membership, please contact Faith at faith@rls.org. 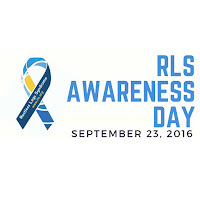 Change your Facebook picture to our ‘RLS Awareness Day’ image (see RLS Foundation Facebook page) and tag us! You will be entered to win an RLS T-shirt and goodie bag! Win a Bravelet with the MOST LIKES on your post. Write a letter to the editor about your experience with RLS and send it to your local newspaper, TV station, or send it to us to post on our blog. 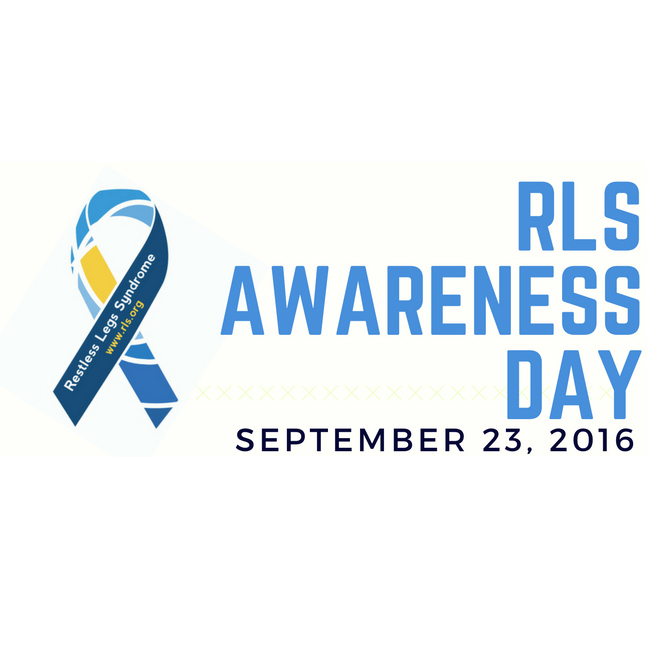 Tell your RLS story in video, photo or write a poem using the hashtags #RLSAwarenessDay2016 on Facebook, Twitter, Instagram or YouTube. Order an RLS Bravelet for you or someone you care for and support! A portion of each Bravelet sold in support of RLS is donated to the RLSF! Become a Support Group Leader! Visit the volunteer page on our website or email Chiara at chiara@RLS.org for more information. Everybody knows somebody with RLS. Download our postcard and send to four of your friends telling them about RLS Awareness Day, September 23, 2016 … the day the RLS community stands together with hope for a cure! 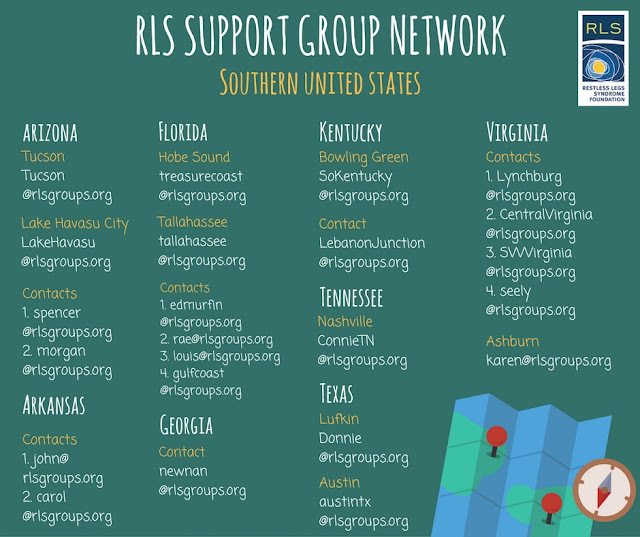 Download the RLS Quick Guide and share it in your community. Send it in emails. Post it at schools, places of worship, grocery stores, libraries, community centers and other public billboards. Bring it with you to appointments and leave copies in doctor's waiting areas – GET THE WORD OUT … YOU ARE NOT ALONE! Gift or be gifted an RLS Foundation membership! Give the gift of membership to a friend or family member (a $35 value). Or ask that a membership, or donation, to the Foundation be gifted to you for a special occasion, like your birthday! Membership includes our quarterly magazine, NightWalkers and access to the 'Members Only' section of our NEW website, where you can download any publication, access archived editions of NightWalkers and educational webinar archives. 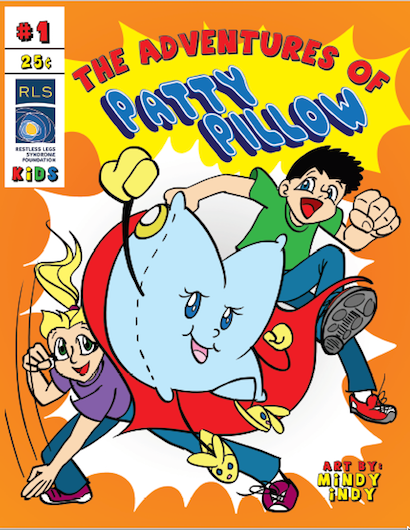 Kids and teens have RLS too. Ask your school or sports league to announce RLS Awareness Day in morning announcements or during half-time! 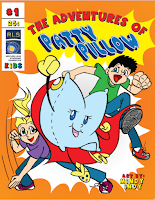 Be sure to share the RLS Teen Guide or Children's Booklet with your school nurse. Purchase an RLS Awareness Ribbon magnet for your bumper. On Sept. 19, the American Heart Association released a scientific statement confirming that sleep disorders, like obstructive sleep apnea and insomnia, are associated with negative cardiovascular health. The American Academy of Sleep Medicine and the Sleep Research Society recommend that adults get in at least seven hours of sleep every night. However, this is rarely the case. In fact, according to the National Heart, Lung and Blood Institute, roughly 50 - 70 million adults in the U.S. each year report insufficient sleep or suffer from a sleep disorder. With these new findings in mind, it was suggested that the AHA focus on sleep behavior through a public health campaign concerning proper sleep habits, as well as educating clinicians on how to screen for sleep disorders. Additionally, it was recommended that the impact of other sleep disorders, like restless legs syndrome and periodic limb movement , be tested for their relation with cardiometabolic risk. To read more about the AHA's statement, check out this article featured on Cardiovascular Business. For the last two years, the Foundation has had the privilege of working with two exceptional employees - Faith and Zibby! Read more about these members of our RLS Foundation family below. Every organization has one individual with a vast set of experiences that makes them a “jack of all trades.” At the Foundation, Zibby Crawford, the Foundation’s Marketing and Communications Coordinator is this individual. 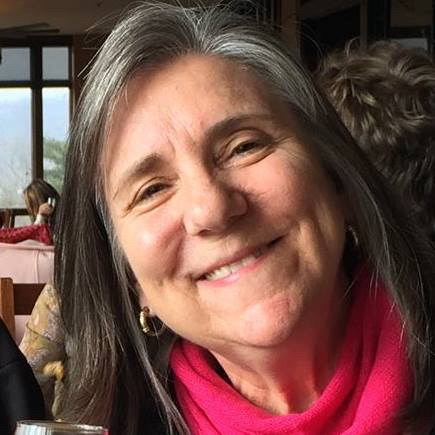 Zibby covers many areas of responsibility, from planning and coordinating the RLS Foundation's presence at meetings and conferences to compiling our eFriends mailing and managing our technological upgrades … It’s a good thing she is the ultimate multi-tasker! Her thirty years of marketing experience has enhanced our outreach. 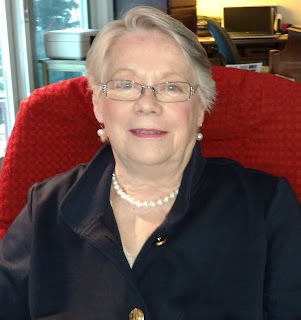 Before the Foundation, Zibby worked in the high tech industry but fell in love with the nonprofit sector when she served as Board President for the National Charity League, Capital of Texas Chapter. Zibby's warm, bubbly and outgoing personality make her a joy to work with. She is always ready to teach a new skill or lend a hand. She has raised four kids, is waiting patiently on grandkids, but until then has a chihuahua rescue dog, Daisy. Zibby’s motto is “Spread joy!” and she carries that spirit with her each and every day. When calls come in to the Foundation with questions, concerns or requests, they are answered with a positive, friendly voice ready to help. 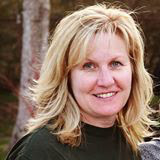 Faith Duncan is usually the first to greet callers, ready to help with any and all issues. Many times it's as simple as helping members log on to the Members Only section of our website. But, Faith has fielded any number of calls ranging from despair about this often debilitating disease, to requests from volunteers wanting to share knowledge with others in their community. 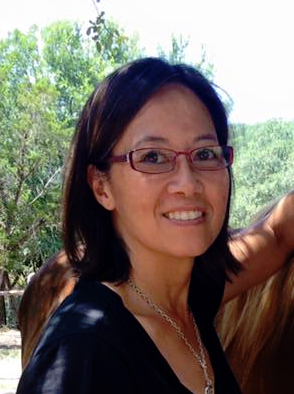 Faith put aside a career as an engineer to be a stay at home mom for many years. She became an active member of a non-profit where she served on the Board of Directors at the National Charity League, Inc., Capital of Texas Chapter, a mother-daughter service organization. Now, with her youngest in college, Faith has taken on her position as Member Services Coordinator and tackled some difficult software and processes with her very analytical, engineering approach and problem-solving abilities! We are very fortunate to have her very sharp mind as well as her compassionate spirit - Faith has made such a difference here at the Foundation. We wish her a Happy Birthday this month, and hope you have the opportunity to experience her uplifting, positive attitude in the future ... you are not alone! New warnings and dosing information have been added to Requip (ropinorole), a medication used to treat RLS and Parkinson’s disease. The makers of Requip, GlaxoSmithKline, implemented FDA approved changes in the packet insert which include updated dosage and warning information. The update indicates healthcare practitioners and patients to taper off of Requip slowly to prevent neuroleptic malignant syndrome, a potentially serious adverse reaction. Neuroleptic malignant syndrome symptoms include high fever, muscular rigidity, and autonomic dysfunction. In the event of discontinuing Requip or augmentation, this update reflects important precautions in gradual reduction of dosage. For a highlight of prescribing information, click here. Speak with your healthcare provider or pharmacist if you have questions regarding your medication. Do not make changes to your medication without the advise of your physician.